As Europe emerges from a decade of uncertainty and anaemic growth, we need to shift our attention from recovery to increased competitiveness – to the great value of the EU project and the strengthening of the tools that will make the Union more economically resilient. For the European Investment Bank, this means leveraging our key position as the bank of the European Union and our status as global market leader in areas such as climate, innovation and major infrastructure.It means continuing to work hard to identify projects that will improve the lives of EU citizens and of those outside the ­Union, where the negative effects of climate change and lack of economic opportunity are sometimes greatest. And it means helping lay the foundations for a stronger, more innovative, more competitive Europe. As a bank, the EIB finances bridges and broadband, solar power and supercapacitors. We also think deeply about the role our projects play in the future prosperity of Europe. We focus on the path by which innovation can be an actor in the next triumphant stage in the development of human society. We welcome disruption, but we must not allow it to leave our citizens feeling alienated. Innovation carries a promise that the great technological developments of today can nourish the future of the human race and protect our planet. We must do more to ensure inclusion, so that everyone can benefit from innovation. The EIB’s economists published an in-depth report in November on investment in Europe. They discovered: large firms are twice as likely as SMEs to be innovators; and innovative young firms are 50% more likely than other firms to be credit-constrained. One big current failure in Europe is that even if a small company has an innovative idea, it is hard for that company to become a large innovator. Small firms may introduce an innovative product, but they lack growth finance and, in the current financing environment, are unable to progress. What this shows is that innovation is much more than a matter of a bright idea. It is built around the different kinds of financing required at specific stages in a company’s life cycle. Increasingly, the work of the EIB in 2017 aimed to bridge each of those different stages to crowd-in the various types of private financiers whose investment drives the innovator’s growth. That is why, for example, we approved a record number of loans with an average size much smaller than traditional EIB deals. We recognise that we must support smaller companies with smaller loans, if we are to have a bigger impact on a broader cross-section of the European economy. The EIB is, in a sense, accustomed to handling times of uncertainty and change. In 2018 we celebrate our sixtieth year of operations. Our founders operated on a continent still rebuilding after World War II in the shadow of the Cold War. 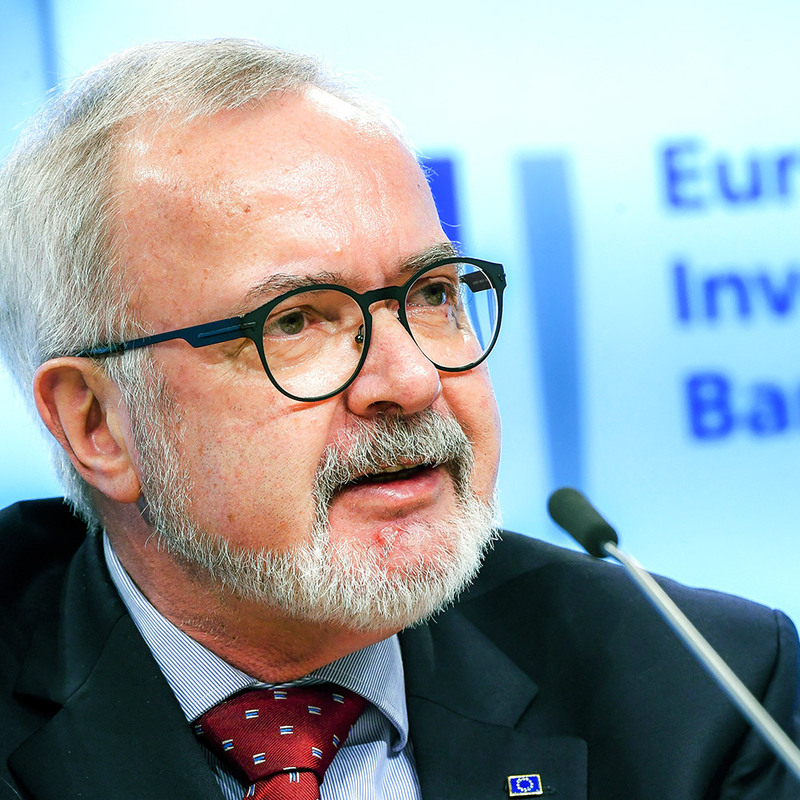 Ever since, the EIB has played an important role in helping Europe deliver on the promise of prosperity to its citizens. The political upheavals of today present us with a choice for our next sixty years. We must make the future innovative, if we are to confront the challenging demographics of our Union and be more competitive. This report demonstrates how, in key strategic sectors, the EIB aims to keep Europe strong by reinforcing its position on the frontier of global innovation.